Veteran hero Srikanth has narrowly escaped from a major accident and this happened a month ago in Malaysia. The incident came to light just a few hours ago when hero Srikanth revealed about it on Twitter. “Re birth shadow lo peddha accident miss aindhi thank god all u r blessings” he tweeted. 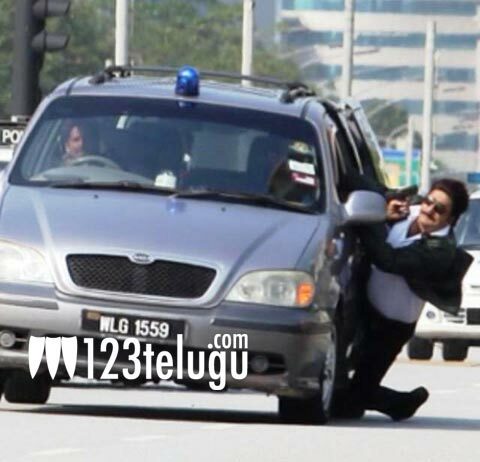 Apparently, the accident happened while Srikanth was participating in a chase sequence from the movie ‘Shadow’. The film has Victory Venkatesh as the hero and Tapsee as the heroine. Srikanth and Madhurima are going to be seen in key roles. Meher Ramesh is the director of the film and Paruchuri Kireeti is the producer. We sure are glad that Srikanth is safe.